Kristian Garthus-Niegel ved Institutt for helse-, sosial- og velferdsfag vil forsvare sin avhandling for graden ph.d.: The Unity School Diversified: Ideological and Social Transformations. Hilde Lidén, Institutt for samfunnsforskning. Kl. 10.30: Prøveforelesning med tema The neo-liberal knowledge economy approach to education: Similarities and differences with the social-democratic unity school approach. Kl. 12.15: Disputas: Kristian Garthus-Niegel forsvarer sin avhandling The Unity School Diversified: Ideological and Social Transformations. Avhandlingen kan leses på USN open archive. How has the increase of pupils with non-Norwegian roots influenced the Norwegian Unity School ideologically? Where did the educational paradigm of effective schools come from and how does it bear down on social life in contemporary multi-cultural Norwegian classrooms? How does school effectiveness-inspired educational governance mould the social and experiential fabric of classroom time? How and to which extent are pupils and teachers subdued by the dominant ideological tenants of the contemporary Norwegian Unity School? Kristian Garthus-Niegel addresses these and related questions, combining detailed discourse analyses of half a century of policy documents and in-depth ethnographic analyses of data gathered through prolonged participant observant fieldwork in high-diversity primary schools in Oslo. He finds that former group-discriminate multilingual/-cultural educational models have been displaced by a universal model set to cater to the economic sustainability of society at large through a focus on pedagogical efficiency and instrumental enskillment. He shows how teachers’ and pupils’ joint efforts to realise this model in their classroom practices produces various unintended social consequences as it exasperates a collective experience of classroom-time as a perpetually scarce resource. He notes that the teachers and pupils individually, albeit briskly engaged in reproducing the school effectiveness-model in their daily interactions, appeared to hold only fragmentary personal information about it, in some cases even being outspokenly resentful. Starting from this observation, Kristian Garthus-Niegel asks in more general terms how the mechanisms that underwrite the social reproduction of dominant cultural models inside formal institutional contexts are most accurately conceptualized. He offers a critique of, as well as some alternatives to the psychological notion of internalisation that mark mainstream social theories of power and culture. In doing so he lends extensively on recent developments within the field of cognitive anthropology. Kristian Garthus-Niegel is a PhD Candidate within the PhD Program in Culture Studies at USN. 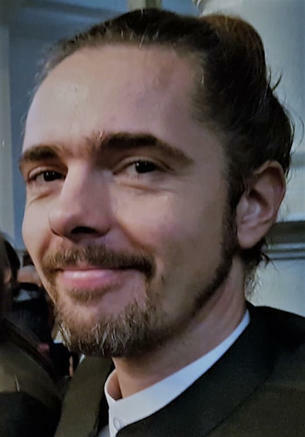 For the doctoral project he has been employed by the Division of Mental and Physical Health at the Norwegian Institute of Public Health within the Study “BRIDGES - Development, adaptation and learning in Europe”. The Project was financed by the NORFACE Research Programme on Migration, for projects on the theme “Migration in Europe: Social, Economic, Cultural and Policy Dynamics”.